Oh man, I can’t tell you how much I love this new song from Charles Kelley. I have to admit that I’m much more excited for his upcoming solo album than I ever was for anything from Lady Antebellum. But shhhhh, that’s just between you and I. Just wish he was coming to a town anywhere near me on his solo tour. 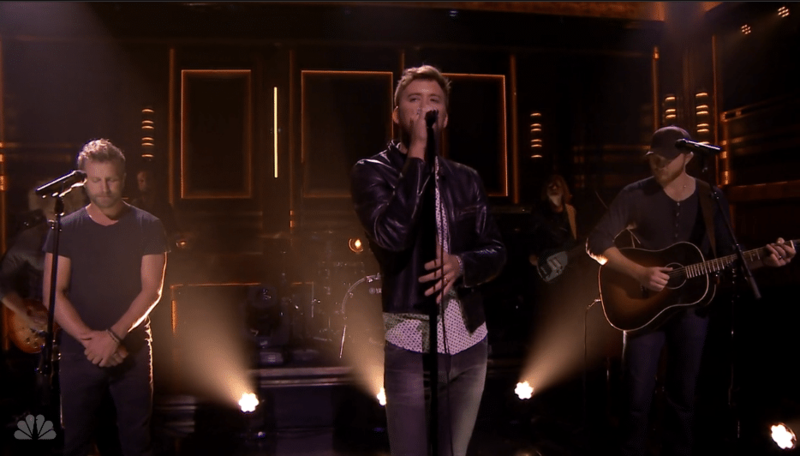 Anyhoo, Dierks Bentley and Eric Paslay joined Kelley on The Tonight Show last night to perform The Driver for the very first time on television and it was just about perfect.